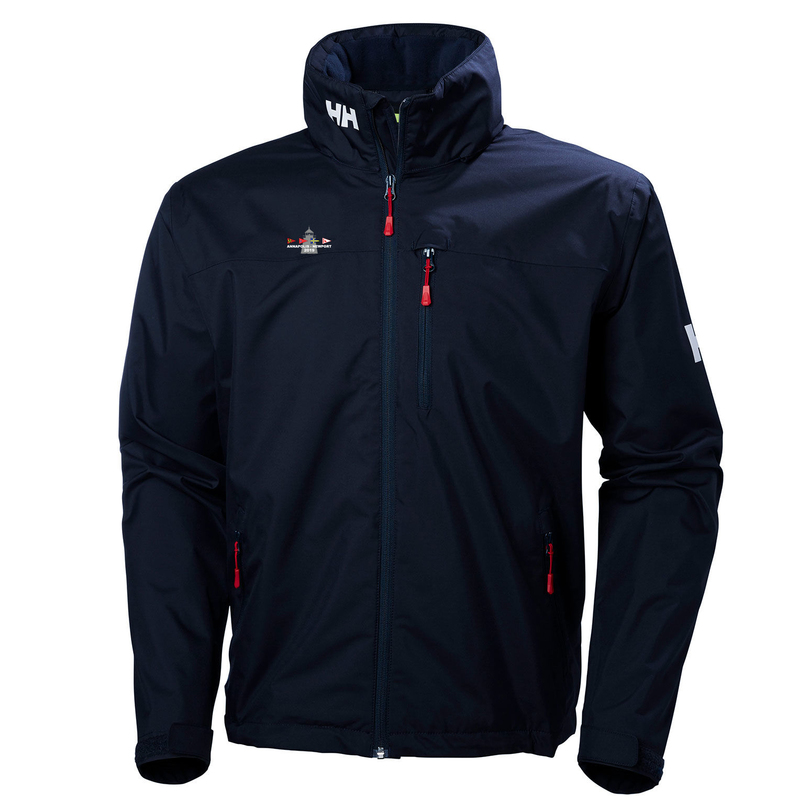 This Helly Hansen men's crew hooded jacket has the Nood 2019 logo embroidered on the right chest. One of our most popular sailing jackets with classic marine style and function. When the weather calls for added protection, this waterproof, windproof, and breathable jacket will keep you warm and dry. Featuring a fleece-lined collar and hand pockets, this jacket is super comfortable. A mesh lining helps it dry quickly. An adjustable fit and a clean design makes this a favorite among crews around the world.